My family is quite adventurous when it comes to food. I remember DH used to search online and he would drive us as far as Pampanga just to experience Chef Claude Tayag's Bale Dutung menu. Nowadays, we need not travel far because more and more restaurants are cropping up especially in Maginhawa Street, Sikatuna Village in Quezon City. 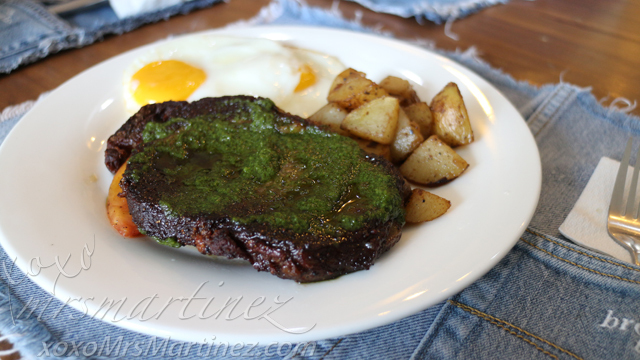 We tried two restaurants one fine Saturday- The Breakfast Table & Crepeman Cafe. The restaurant clearly needs a makeover or an upgrade (?) especially the couch. Initially, we were eying for the couch but it was positioned so low, I doubt any person could eat there comfortably. We transferred to a regular table instead. When it was time to order, the restaurant's specialties were out of stock. 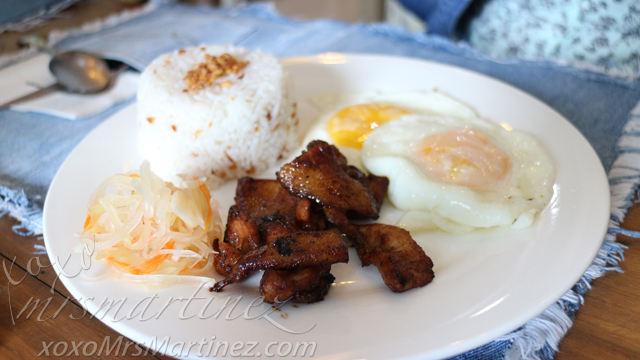 We were left with no choice but to order the following items on the menu- Adobo Omurice, Steak and Eggs & TBT Spanish Bacon. 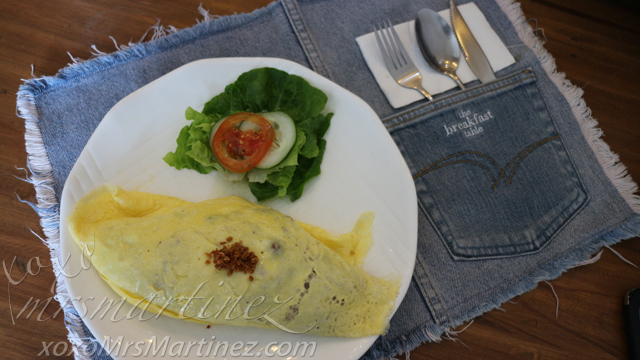 Adobo Omurice sounds fancy but it's really nothing like that. It consists of pieces of toasted adobo chunks in adobo rice wrapped in 2 scrambled eggs. A petite salad (slices of tomato & cucumber on greens) is served on the side. Nothing fancy, nothing special. I always order a steak whenever I see one on the menu. More often than not, it is a bad decision. If it is not a steak house., don't bother. But honestly, I never learn... tsk! 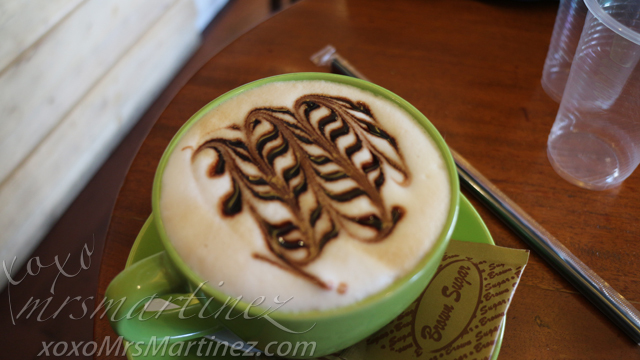 The Breakfast Table is located at 189 Maginhawa St. cor. Makadios St., Sikatuna Village, Quezon City 433 3597. After a disappointing lunch, we went to find The Nook Cafe, a Harry Potter-inspired cafe. We were there at around the time it opened (1PM). We were shocked to find the dimly-lit place packed with families, even the space on the second level was full. I guess I have to schedule another visit to taste the widely popular, Butterbeer. Luckily, I spotted Crepeman Cafe a few doors away from The Nook Cafe where we had the yummiest crepe that I have ever tasted. The price isn't bad at. 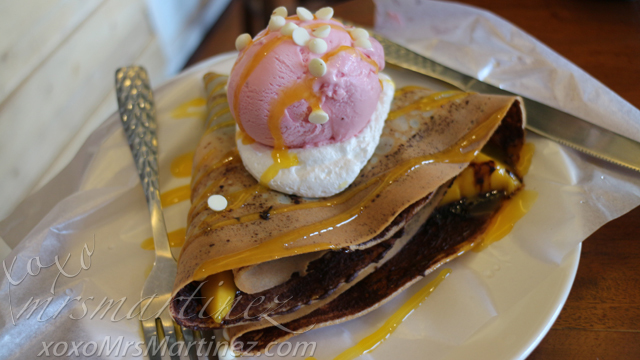 I think one order of Sweet Crepe costs a little over a hundred pesos with ice cream on top. Well, I can say that our trip to Maginhawa was not a waste after all. We found an affordable and yummy dessert place in Crepeman Cafe.